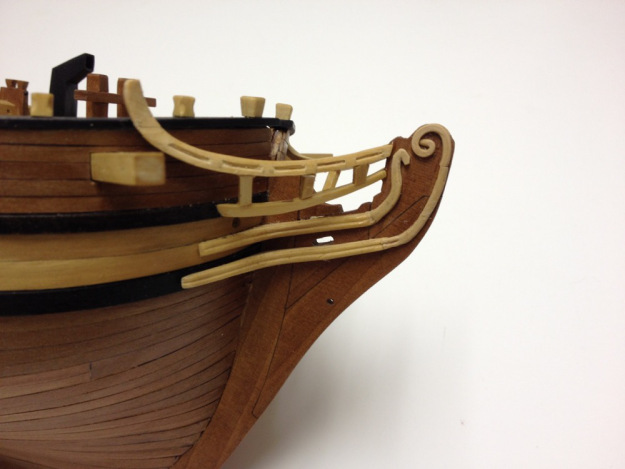 Clare Hess updated the build log for his colonial schooner kit, which is based on a kit from Artesania Latina, but heavily modified with upgraded woods such as South American boxwood, pear and beech wood, and with aftermarket blocks, cannons and carriages. This entry was posted in Clare Hess, News and tagged Artesania Latina, Colonial Schooner, Ship Model Kit by catopower. Bookmark the permalink.